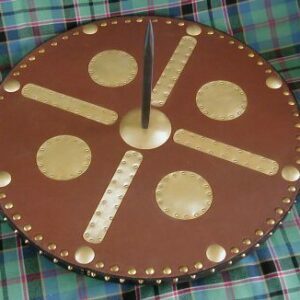 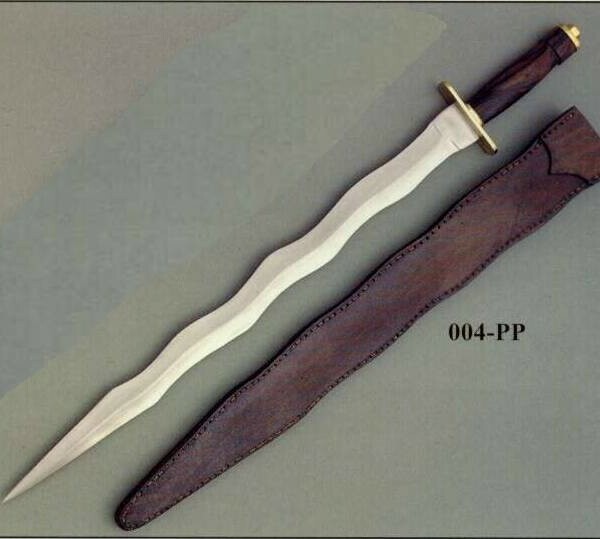 The Moro 004-PP is a flamberge-style single-hand sword, named for the Moros (or Moors) who invaded Spain in the Middle Ages. 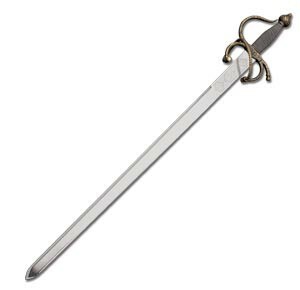 The styling existed widely in Meieval (and Renaissance) Europe, the flame form providing an extended cutting edge. 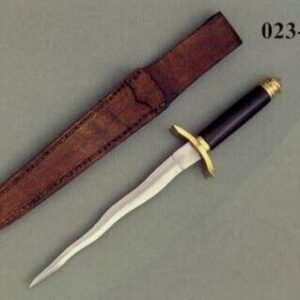 The fully functional tempered high-carbon steel blade is very sharp, and features a macassar ebony grip and brass fittings. 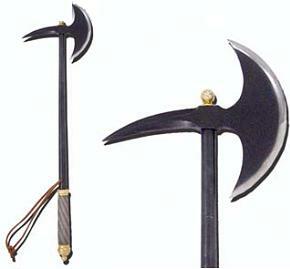 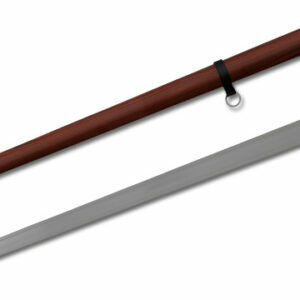 A simple stiff leather scabbard is included. 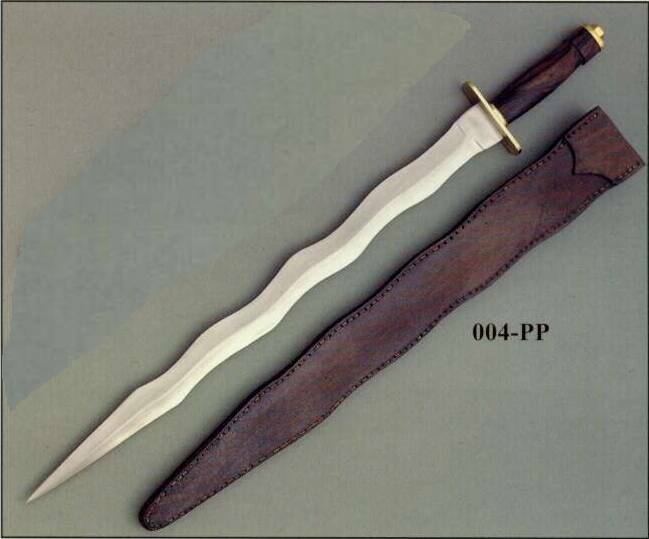 See also the matching companion piece, the 023-PP Flame Dagger.